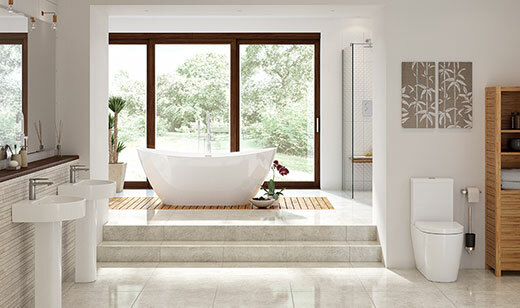 Sandalwood basin with full pedestal, Sandalwood close coupled WC with soft close seat, Venetian freestanding bath, Rima basin mixer, Primo floor standing bath shower/mixer and Nova LED mirrored cabinet. 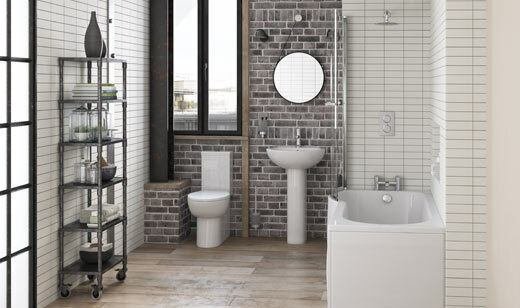 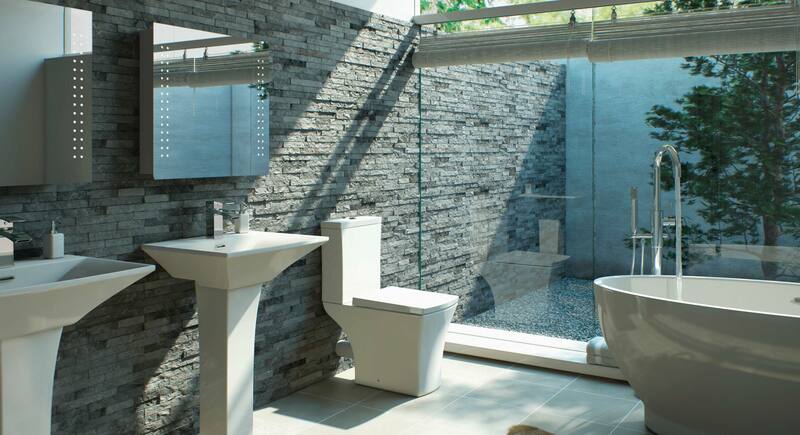 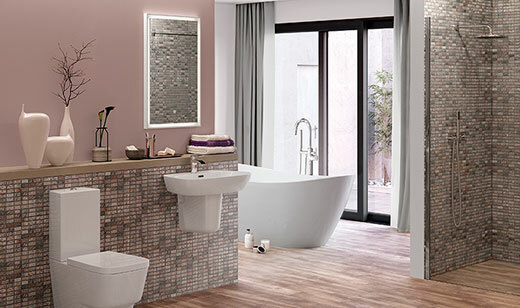 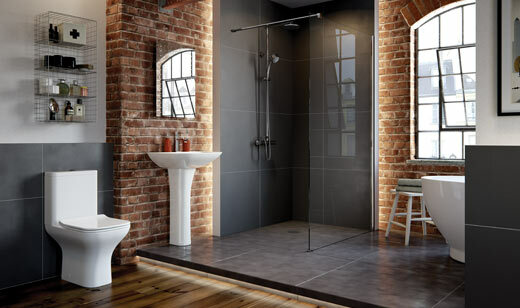 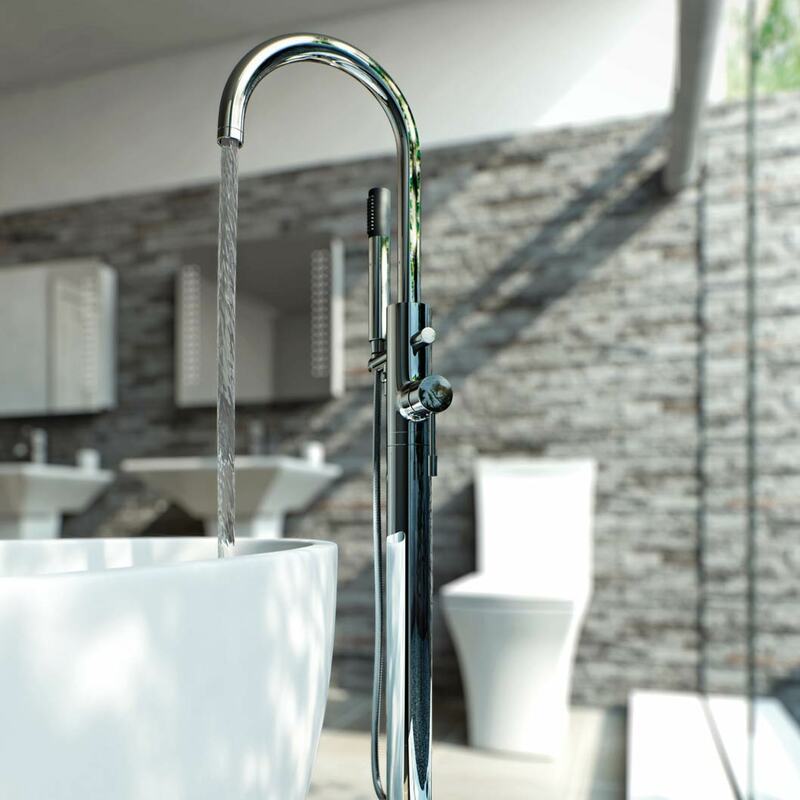 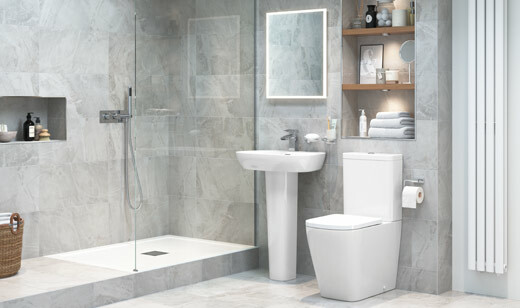 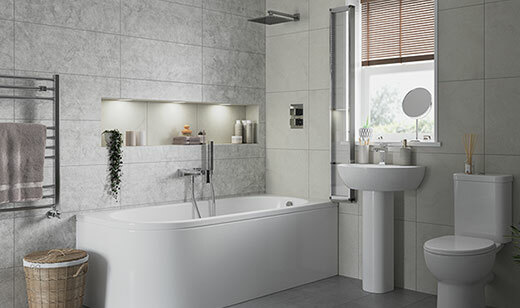 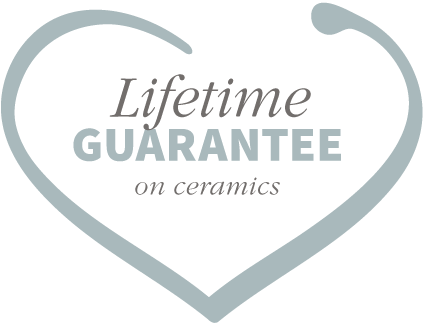 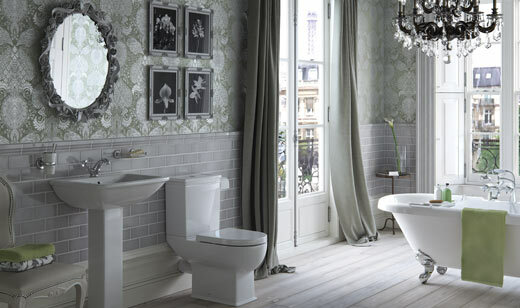 Elegant use of space with sculpted squared edges and thin profiles will give a very chic look to your bathroom or en-suite. 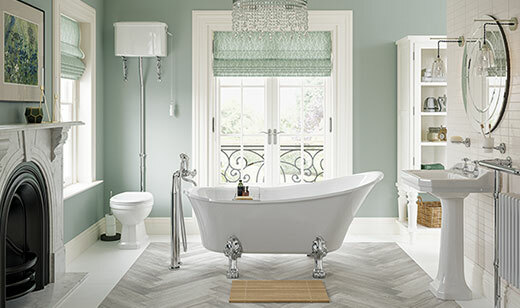 Complement the Sandalwood suite with our beautiful Venetian bath with Primo floor standing bath/shower mixer.